The law firm McSweeney / Langevin is filing legal claims on behalf of woman allegedly harmed by American Medical Systems Transvaginal Mesh System. McSweeney / Langevin's lawsuits follow the Food and Drug Administration's investigation into whether the transvaginal placement of surgical mesh to treat Pelvic Organ Prolapse (POP) and Stress Urinary Incontinence (SUI) can have serious consequences. The law firm McSweeney / Langevin has filed a lawsuit on behalf of a woman allegedly injured by a transvaginal mesh system. (S. Dist. W. Va. 2:14-cv-23870). The FDA has issued a Public Health Notification on October 20, 2008 regarding problems associated with transvaginal mesh. According to the FDA, surgical mesh is a medical device that is generally used to repair weakened or damaged tissue. It is made from a synthetic material. 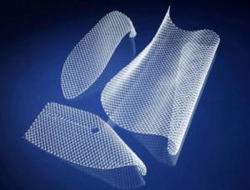 In urogynecologic procedures, surgical mesh is permanently implanted to reinforce the weakened vaginal wall to repair pelvic organ prolapse or to support the urethra to treat urinary incontinence. The TVM lawyers of McSweeney / Langevin encourage woman who believe they have suffered from alleged side effects of a transvaginal mesh system to contact one of our experienced attorneys to discuss the possible claim, lawsuit and settlement. According to attorney Rhett McSweeney, women need to contact McSweeney / Langevin immediately, statute of limitations issues may be a concern. With the sole purpose of helping the injured, the personal injury law firm McSweeney / Langevin ensures women are adequately compensated for wage loss, medical expenses and pain and suffering as a result of transvaginal mesh. While most firms have you speak with an “investigator” or “case manager,” McSweeney / Langevin connects people with one if its attorneys who will be handling your case. The firm handles personal injury cases related to dangerous/defective pharmaceutical drugs, dangerous/defective medical devices, and serious/catastrophic injury claims. For more information, visit http://www.westrikeback.com or call 1-800-888-4425.